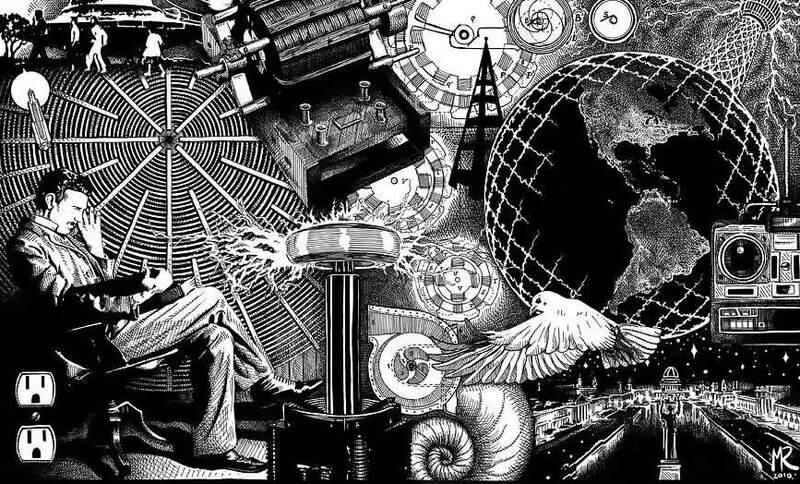 DNI Note – We felt to post Nikola Tesla story right at this moment as the Free Energy will be the most probable development we will be able to touch with our hands quite soon. It’s no secret, it has been kept hidden in plain sight for almost 100 years, hijacked by the pirates (Morgan descendants, become banksters) to help the Cabal to keep the people in slavery. Most of you know Tesla already but this brief recap will hopefully help others to shed some Light on this superior being that after such a long linear time is now seeing his effort have the results they deserved. You’d know his name every time you switch on a light or turn on your radio, his contributions are as far-reaching, probably even more in the near future, as those of Albert Einstein, Isaac Newton or even his nemesis Tom Edison. 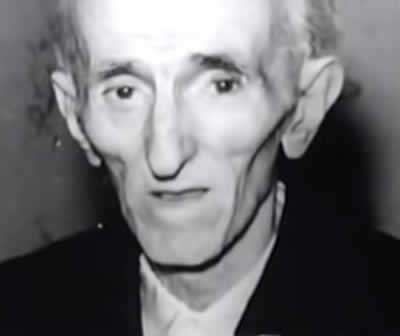 This mysterious tall dark Serbian invented alternating current, wireless communication, the modern electric motor, basic laser and radar technology, x-rays, neon, robotics, remote control and cellular technology and even star wars tactical warfare, all over a hundred years ago. Yet today, who’s ever heard of Nikola Tesla? How could history overlook such an incredible legacy? During his last moments on earth, he no doubt asked himself the same question, lying in a forgotten hotel room alone at 86 years of age. On that final night, in January 1943, Nikola reflected on his life in near delirium. Unstoppable images would flood his mind, accompanied by powerful flashes, like countless times before due to a strange lifelong condition of this. In the murky light of the hotel room he speak with ghosts from his past, phantoms, waiting for him to succumb. He remembered, triumphant moments, when he was struck with the vision of his world transforming electric motor, the same design that’s used everywhere today. He was so sure of his breakthrough that he felt compelled to share it. He sailed for New York City, the seat of the modern world. Upon Nikola’s arrival he’d see a busy gas-lit metropolis, painted black by a century of coal, wood and fuel oil residue. He knew at once this era would come to an end with his electrical innovation. He would go to work and forge his dream at first, digging ditches, then he’d create his machines. Soon he’d become the quintessential American success story, transforming himself from a penniless immigrant into a legend of his time. The literati of New York’s finest would flock to his laboratory to witness the spectacular high voltage demonstrations. Notables, such as Mark Twain, John Muir, Sarah Bernhardt, Stanford White the Teddy Roosevelt and many others attended. But one person not present was his ruthless competitor, Thomas Edison. Nikola would recall the war of the currents, AC versus DC power. At the time, the electrification of the world was a stake. “Alternating currents too damn dangerous, he’s using tens of thousands of volts, DC only uses hundreds, sure you can see the danger! 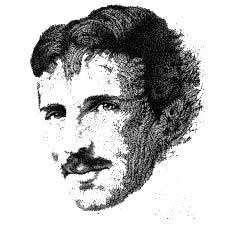 Tesla, Tesla, Nikola Tesla, a man who could never take a joke!” Edison. There was only one kind of power system that can feed cities all over the country, that would allow Edison’s incandescent bulbs to burn brightly, and Nikola had it. 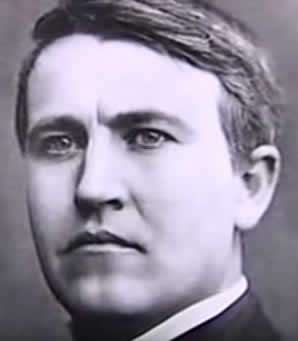 Tom Edison fought against it tooth and nail. The bitter Edison would even resort to electrocuting stray animals, including a rogue elephant, to incite public fear of Tesla’s AC System. But Tesla would ultimately triumph over Edison by electrifying the Chicago World’s Fair in 1893, it was a smashing success. Then, he and his partner George Westinghouse, created the world’s first hydroelectric system at Niagara Falls. It was an incredible gamble up in time, and no one was sure it would work, except Tesla, the man of the hour. 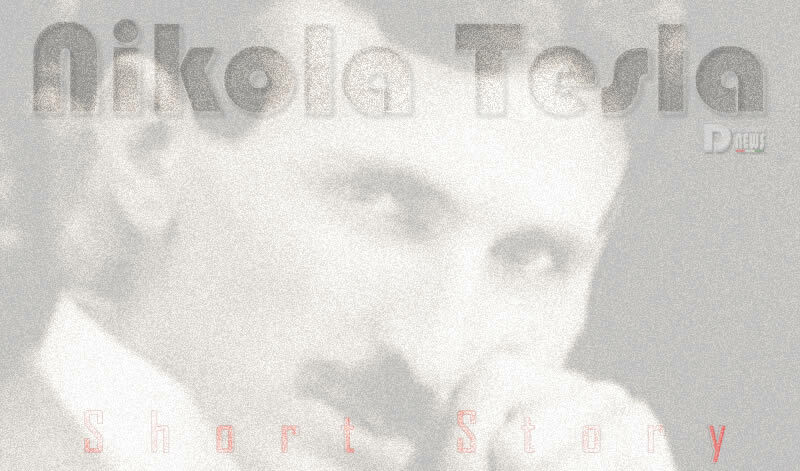 Nikola was now at the peak of his glory, he took to wearing formal clothes and wearing white gloves when starting experiments. He was a mystic, who wrote and recited poetry and could speak six languages, yet he couldn’t help his idiosyncrasies. People had no idea that he battled hallucinogenic episodes daily. He was also described as a maniac for cleanliness, and would avoid handshakes, and fought an array of deep-seated phobias and compulsions. “I had a violent aversion against the earring of women, the sight of a probe would almost give me a fit. I would not touch the hair of other people except, perhaps, at the point of a revolver. I counted the steps in my walks and calculated a cubical contents of soup plates, coffee cups and pieces of food, otherwise my meal was unenjoyable. He learned to control his runaway mind with supreme discipline. Tesla’s unquenchable fire drove him onward, working 20-hour days, reaching for perfection, but this was much to the displeasure of socialite Catherine Johnson, his most intimate confidante, and perhaps Tesla’s secret lover. They were very close but this love was not meant to be. Tesla was on a mission, dedicated to unlocking the secrets of nature, his greatest obsession, he left little time for relationships, or business. Nikola was exceedingly vulnerable in this regard. Wall Street monster, JP Morgan, was always looking in the background, salivating over Tesla’s patents. He wanted total control of the new power industry, and would even crash Wall Street in order to shake out the competition. 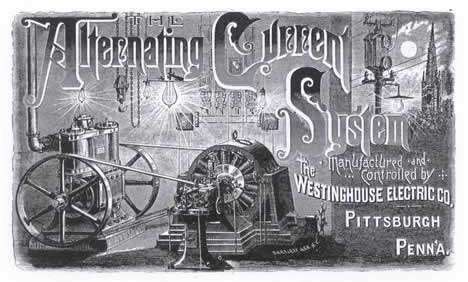 There were repercussions, one dark afternoon Tesla tore up his own royalty agreement with Westinghouse, a contract potentially worth billions of dollars, in order to save their company from financial doom. This insane act of generosity was never reciprocated, even after Westinghouse’s death in 1913. Despite the volatile world of finance in those days, Tesla was still courted by the rich and powerful. Nikola would soon engage the biggest fish in the pond, while undertaking his greatest venture, Wardenclyffe. This fantastic structure was the very culmination of Tesla’s vision to create a worldwide communication system, for sending sound and pictures. The primary goal was to beat Marconi, for the honor of delivering the world’s first transatlantic wireless signal. 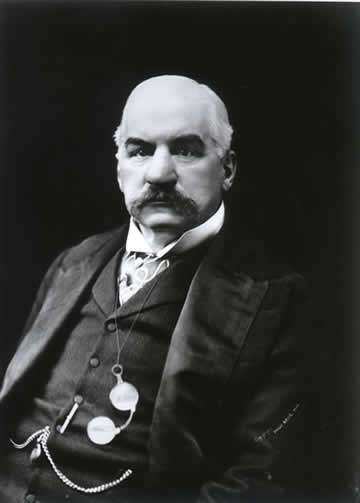 By no accident, Tesla’s grand project was to be financed by the devil himself, JP Morgan. But Nikola had a secret, the system could also electrify the world! Wardenclyffe would provide limitless free energy, everywhere, for everybody. When JP Morgan find out about this leap of technology he wouldn’t tolerate it. He knew Tesla could deliver and the banker overlord couldn’t put a meter on it. “A man always has two reasons for doing anything: a good reason and the real reason.” Tesla. Mid-construction Morgan would cancel the contract and blackballed Tesla, that’s excluding him from any other investor. “Mr. Morgan are you going to leave me in a hole? I’ve made a thousand powerful enemies on your account, in a hundred years from now this country would give me much for the first honor of transmitting power without wires.” Tesla. Wardenclyffe faltered and Marconi sent his transatlantic signal. Tesla would suffice second nervous breakdown and never again would he regain his momentum as before. But despite his cruel fate, Nikolas stayed the course, decade after decade would pass and he would bring forth new fantastic inventions, in transportation air flight, and even warfare. His death beam, as he intended, would bring an end to all warfare. An inventor to the end, all he ever wanted was to uplift the condition of humanity. But now in his hotel room time was drawing short, he’d finger newspaper clippings and recall some of the smaller moments of his life; his table for one, walking the streets of New York, haunting Grand Central Station or feeding his many pigeons ,one of which he held as his favorite. No one could begin to imagine what great secrets this mad scientist kept locked inside his head, no one, except J Edgar Hoover and his g-men. They waited patiently for the great man to pass and were ready to take everything that Nikola left behind. The lost wizard is a spellbinding epoch, based on Mark Cephas acclaimed biography about the tragic rise and fall of the radical genius, Nikola Tesla. It’s a true story of triumph, heartbreak, deception, and madness, set upon the backdrop of New York City at the cusp of the modern era. This story is about a man whose powerful ideas live on, as much of his work is still classified and used in the most esoteric projects imaginable today. Nikola Tesla, single-handedly, changed the world for the benefit of mankind, yet has been rewarded with obscurity. It’s time to bring his story out of the shadows and into the light. With his last breath Nikola gently smiled. Would they only have listened. Six months after his death in 1943, the United States Supreme Court affirmed that Nikola Tesla was the originator of wireless technology, including radio. This entry was posted in Uncategorized and tagged Dec. 27, Disclosure News Italia, love, Tesla. Bookmark the permalink.